Scottdale Fall Festival • Welcome! 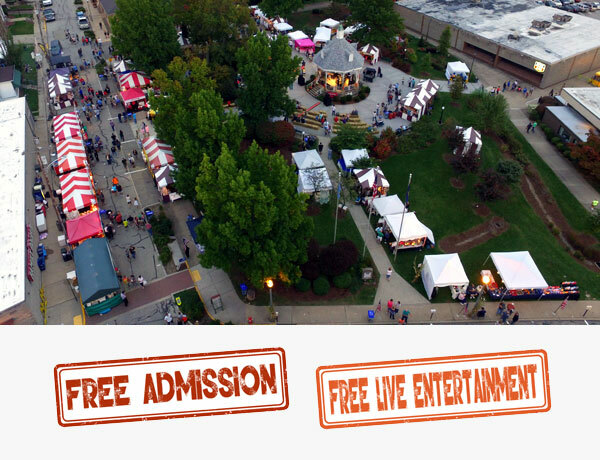 The Scottdale Fall Festival is a 3-day annual celebration featuring a wide variety of handmade crafts, local and ethnic foods to suit all palates, highly anticipated parade that is a crowd pleaser for the kid in all of us, a dog show, full schedule of live entertainment, a 10K / 5K race, children's area, and much more. The festival is held at the Gazebo, in the heart of Scottdale, on the corner of Pittsburgh and Spring Streets. It is always held the third weekend in September, to help welcome fall to the area, and is one of three major festivals the Scottdale community enjoys each year. Admission is always free and there is free live entertainment each day of the festival.